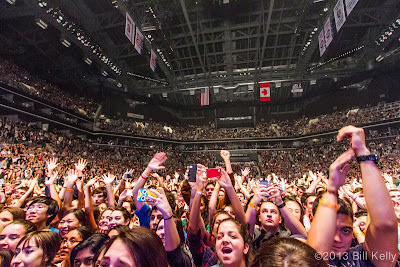 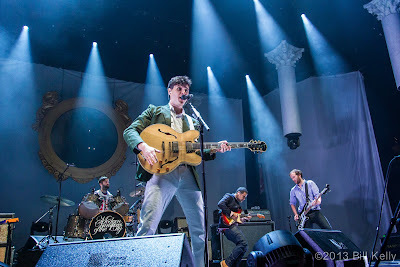 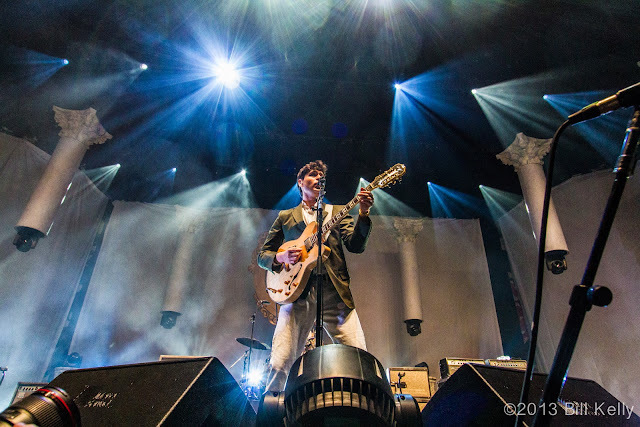 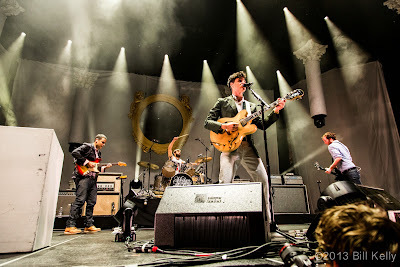 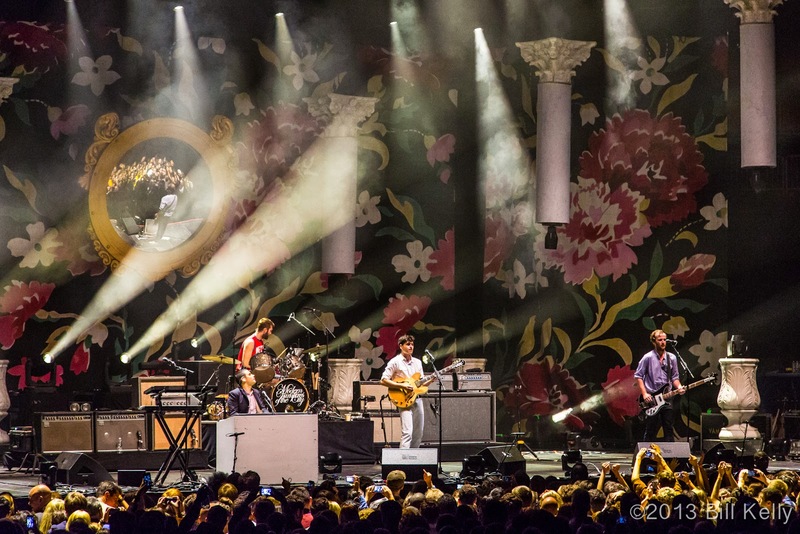 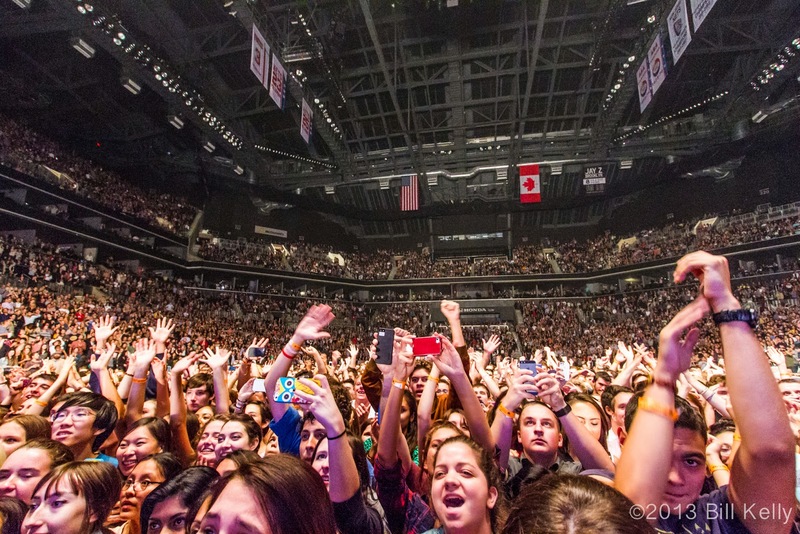 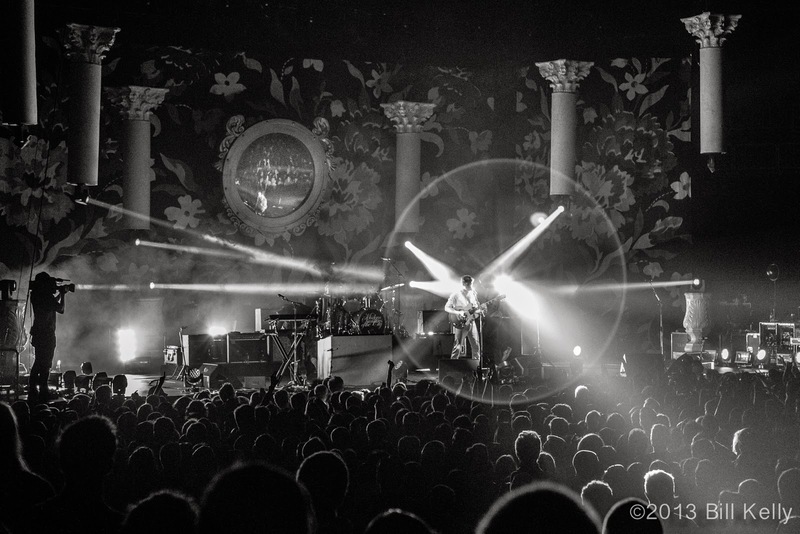 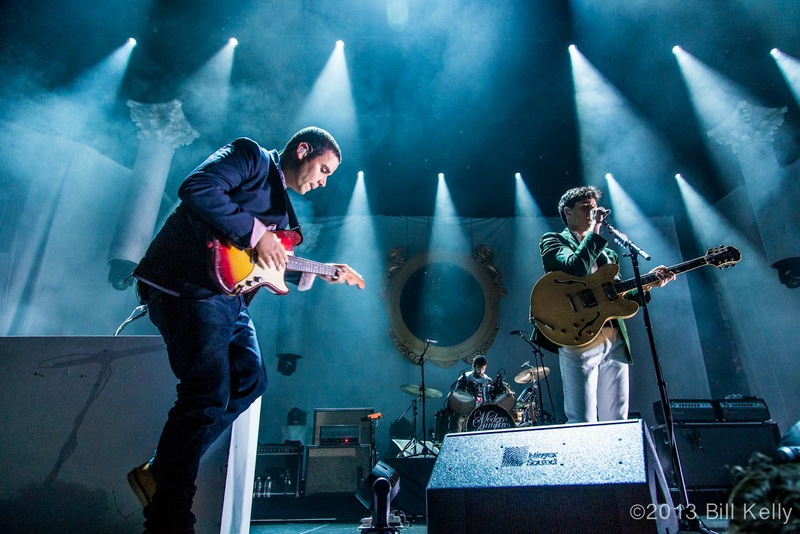 Hailing from the leafy campus of Columbia University, Vampire Weekend bought it's multi-cultural brand of ethno-pop to Brooklyn's majestic Barclays Center celebrating their new release, " Modern Vampires Of The City". 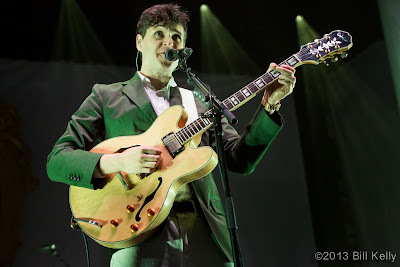 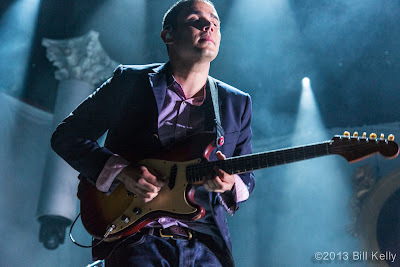 Featuring lead-man Ezra Koenig, producer and multi-instumalist Rostam Batmanglij, Chris Tomson playing very percussive drums and Chris Baio rounding out the band on bass, the Vampires played a variety of pop music that was quirky enough to steer clear of top of the charts pablum. Few bands, indeed, could devote an entire song to the oxford comma, and get away with it. 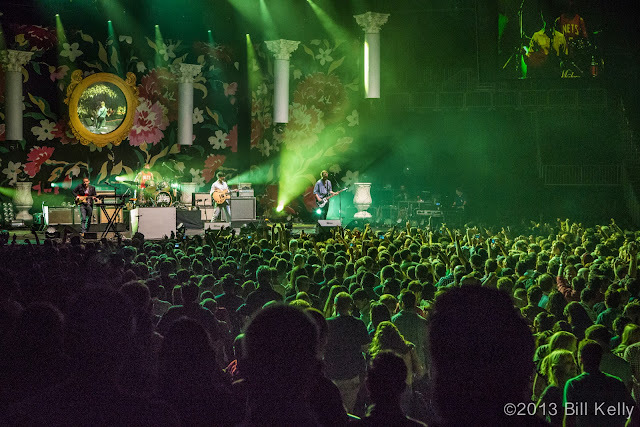 Playing before a just about sold out arena, the band covered old favorites and several songs from the new release.